From “Splish Splash” to “Mack the Knife” to “Simple Song of Freedom,” Bobby Darin showed off a restless artistic soul. 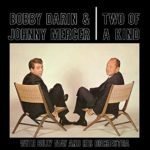 In 1961 Darin teamed with songwriter (and Capitol Records co-founder) Johnny Mercer for a swinging set of Tin Pan Alley standards, arranged and executed with brassy sizzle by Billy May. The album’s joie de vivre is undeniable, sparked both by the principals’ chemistry and the band’s relentless push. Darin and Mercer seem to be unreeling these classics extemporaneously, with each inserting playful ad libs as the other sings. Imagine if Martin and Lewis, or Hope and Crosby, had both been vocalists first, rather than vocalist-comedian pairs, and you’ll get a sense of this duo’s playful power. Their 27-year age difference evaporates as they express their shared love of these songs, including a few of Mercer’s own titles. 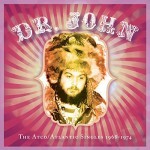 While at Atco from 1958 to 1959, and again from 1966 to 1971, Curtis released a broad range of singles that crossed the pop, R&B and adult contemporary charts. His sax could be tough, tender, muscular, smooth, lyrical and humorous, and his material included originals, covers of R&B and soul tunes, contemporaneous pop and country hits, film themes and even Tin Pan Alley classics. He recorded with various lineup of his own Kingpins (though perhaps never a better one than with Jerry Jemmott, Bernard Purdie and Cornell Dupree), but also with the players of the Fame and American Sound studio. He teamed with Duane Allman for the Instant Groove album, kicking out a Grammy-winning cover of Joe South’s “Games People Play,” and recorded “Teasin’” with Eric Clapton. 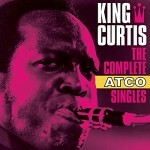 King Curtis’ singles catalog was filled with interesting selections, including superb covers of Big Jay McNeely’s “Something on Your Mind,” Rufus Thomas’ “Jump Back,” Buddy Miles’ “Them Changes” and a warm take on Mel Torme’s “The Christmas Song” that was lifted from Atco’s Soul Christmas. Curtis’ originals were just as good, including the twangy “Restless Guitar,” the go-go “Pots and Pans,” the manifesto “This is Soul,” the funky “Makin Hey,” and the frantic “Pop Corn Willy.” Of particular interest to collectors are the many singles that didn’t appear on original King Curtis albums, including eight of the first ten tracks on this set. Other non-LP singles include the guitar-centered “Blue Nocturne,” an early rendition of Donny Hathaway’s “Valdez in the Country” titled “Patty Cake,” and the yakety-sax oldies medley “Rocky Roll.” Of paramount interest is Curtis’ previously unreleased final Atco single, “Ridin’ Thumb,” which closes disc three and includes a rare King Curtis vocal. 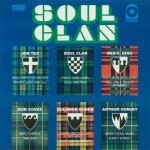 This Long Island quartet grew from a blue-eyed soul act into one of the progenitors of what would eventually be labeled “heavy metal.” The group’s soul background is evident in their selection of cover material, but their mid-to-late 60s prime was also heavily influenced by the psychedelic era. 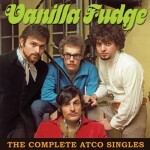 Combining the two, Vanilla Fudge turned out a series of singles that relied heavily on slowed-down arrangements of then-contemporary covers, enlarged to nearly operatic size by producer Shadow Morton. The band’s debut cover of the Supremes’ “You Keep Me Hangin’ On” stalled on the charts in 1967, but reissued in 1968, it climbed into the Top 10. 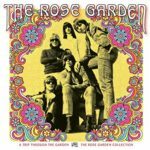 The arrangement, supported by Mark Stein’s organ, the heavy rhythm section of Tim Bogart and Carmine Appice and unison backing vocals was a template for what was to come. The single’s original B-side, a cover of Evie Sands’ “Take Me for a Little While,” was also re-released as an A-side in ’68, and charted in the Top 40, sounding like a heavy version of the Rascals, and showing off the quartet’s instrumental talent in Bogart’s bass solo. The band landed a few more singles in the Top 100, including the original title “Where in My Mind” and a two-part cover of Donovan’s “Season of the Witch” that was generously carved from the lengthy album track. They softened their sound into a soul croon for Bacharach and David’s “Look of Love,” but this was unusual for a single. More typical is their hard-rocking cover of “Shotgun,” with its wailing guitar and full-kit drum fills, and the strutting B-side original “Good Good Lovin’.” Perhaps the band’s most miraculous single was their cover of Lee Hazelwood’s “Some Velvet Morning,” which somehow managed to cram 7’34 onto a seven-inch, 45 RPM record. A three-minute DJ promo edit is included in this set as a bonus.